Do you love watermelon as much as I do? Well, we discovered another yummy way to eat it! 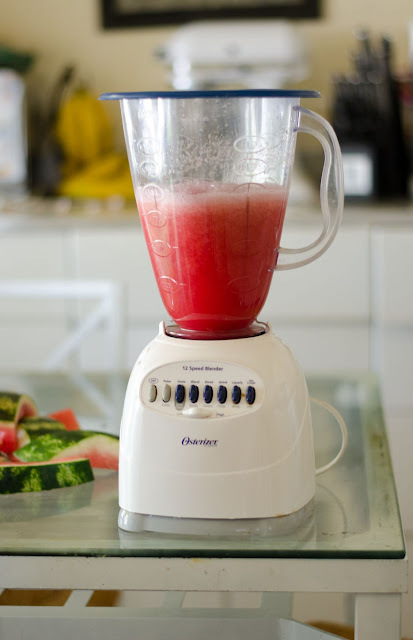 I try to keep my family eating as healthy as possible. . .and in summertime, that means making our own popsicles. 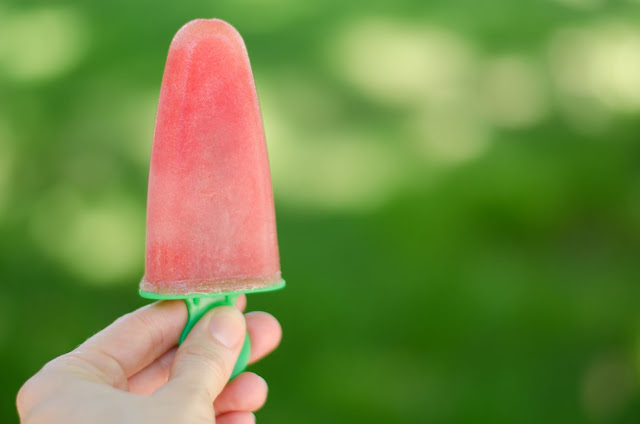 My four-year-old asked (a few times) for watermelon popsicles; so I finally tried to make them, and they are the most beloved popsicle flavor so far! 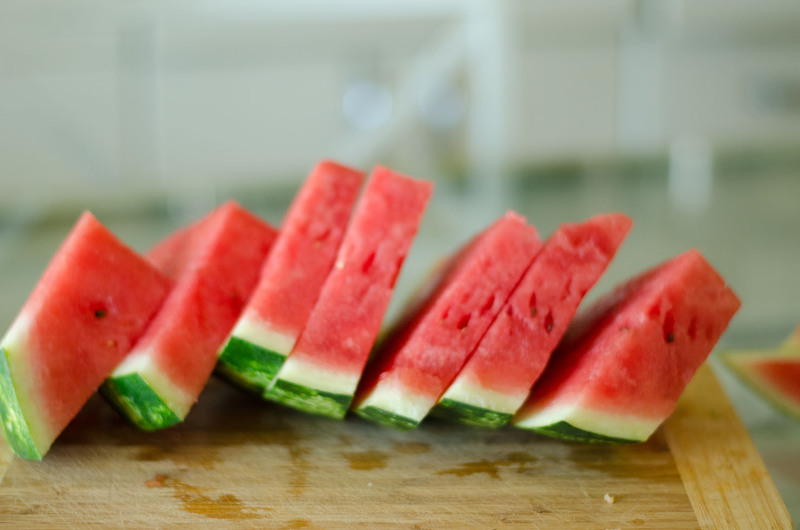 I only have twelve popsicle molds; so a quarter of a watermelon was more than enough. 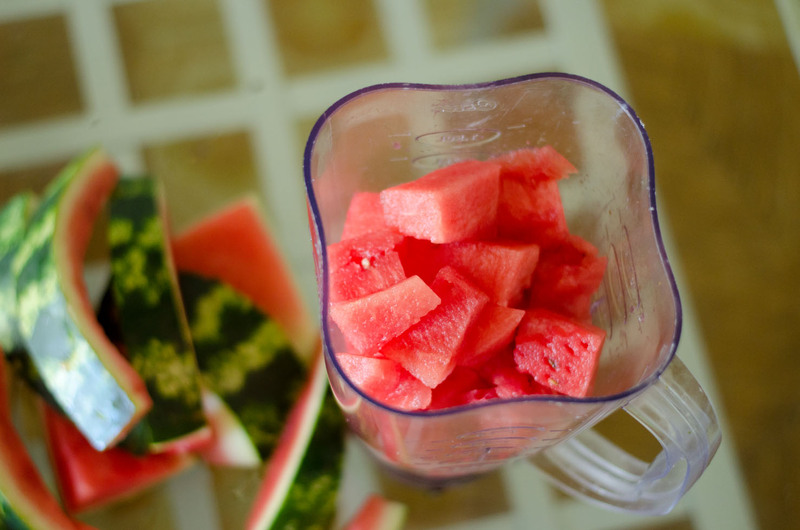 The sweeter your melon, the better it will be, of course. 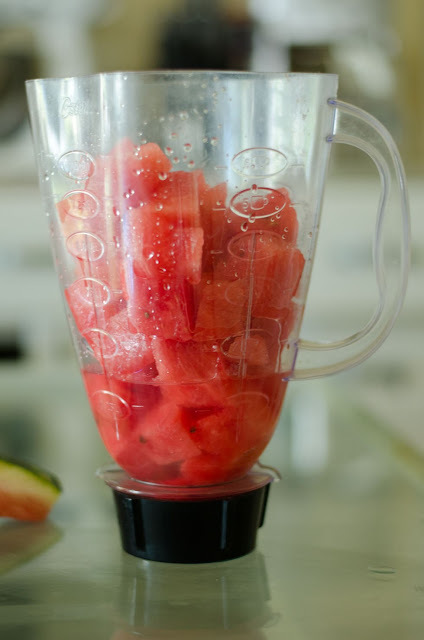 Just cube it all up, and throw it in your blender. Now, if you have a Vitamix or a blender of that quality, you might not need to add any water, but my little Osterizer needs a little help with liquids; so I added a little water. . .
Like our very fancy lid? When you lose your blender lid, a plastic storage container lid will suffice 🙂 We’re fancy that way around here. If you find your liquid needs a little more sweetness, you could always add in a little honey. 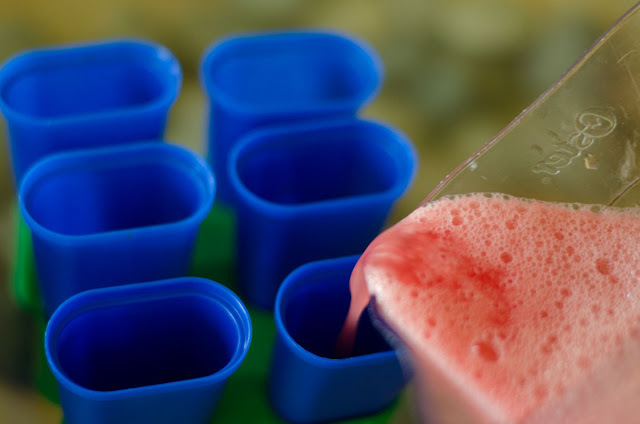 Line up your molds, and start pouring! 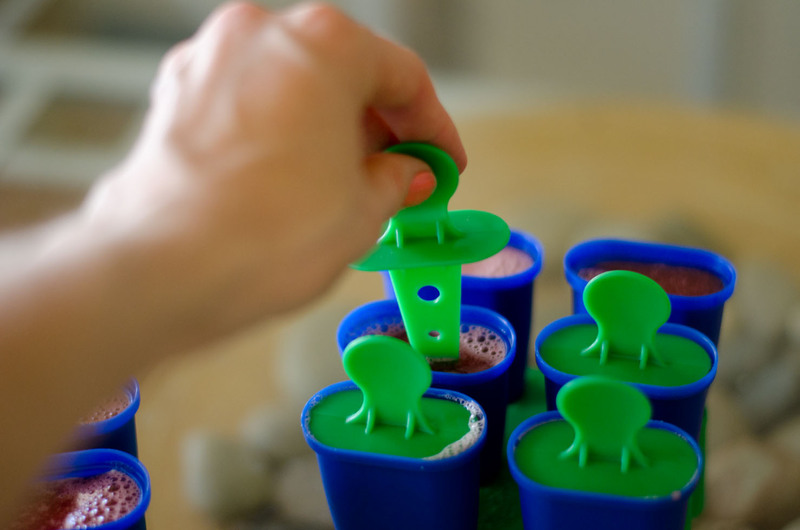 I got my popsicle molds from IKEA. Pop them (carefully) into the freezer when you’re done. . .
and a few hours later you have this yumminess! This makes me so happy! 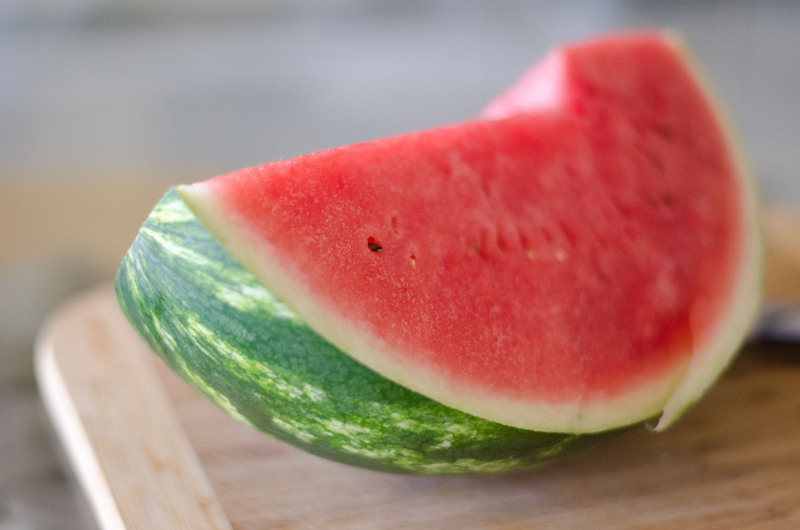 I dearly love watermelon and your photos are gorgeous! Must try this – thanks you!